When we moved to this farm there was a hulking squat skeleton of a tree near the clothes line in the back yard. 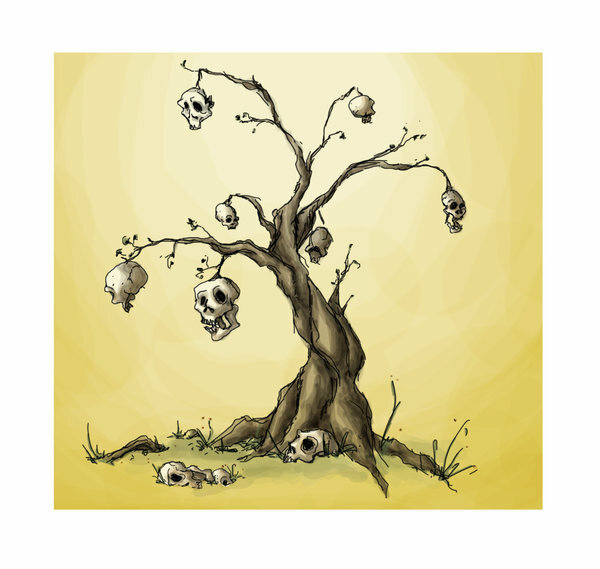 From its furthermost branch clung a few twisted and misshapen leaves. Piece by piece the tree gave in to decay, and first twigs and then limbs fell to the ground. Ben was determined to rip the tree out, but I insisted we try and save it, although I did not know what kind of tree it was. I pruned it, watered it, fertilised it. Still, nothing much ever happened. 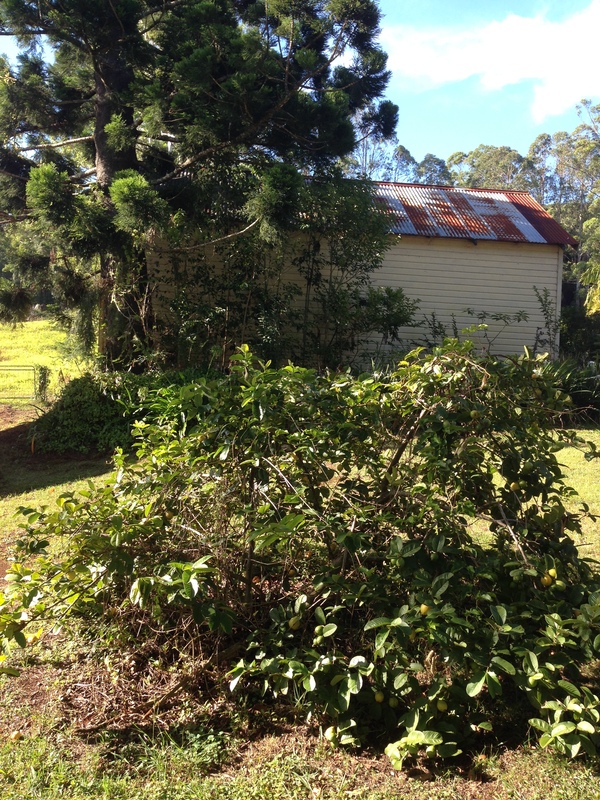 I even used it as scaffolding for a passionfruit vine, refusing to admit defeat. But one day a storm blew through and the old tree toppled. Ben cut the stump level with the ground and that, we thought, was the end of it. But this was one tenacious tree. After the frosts of winter had finished one twiggy tendril shot forth from the ground. Ben thought it was a weed and mowed over it. Two weeks later there were several shoots, and we realised that the tree was doing its best to make a come-back. We decided to let it have its best shot, and put a tree guard around the tiny new growth. A few years later we have a small, droopy fruit-bearing guava tree where the skeleton trunk once stood. Its growth is lush, and it is home to a large blue-tongue lizard. A few times a year we find remnant snake-skins clinging to its branches. It is a well-loved community tree. Best of all though are the many sweet fruit it bears, which fragrance the afternoons with their heady perfume. I picked a basket full yesterday afternoon, some of which I immediately devoured, letting the pink sticky juice drip down my chin. 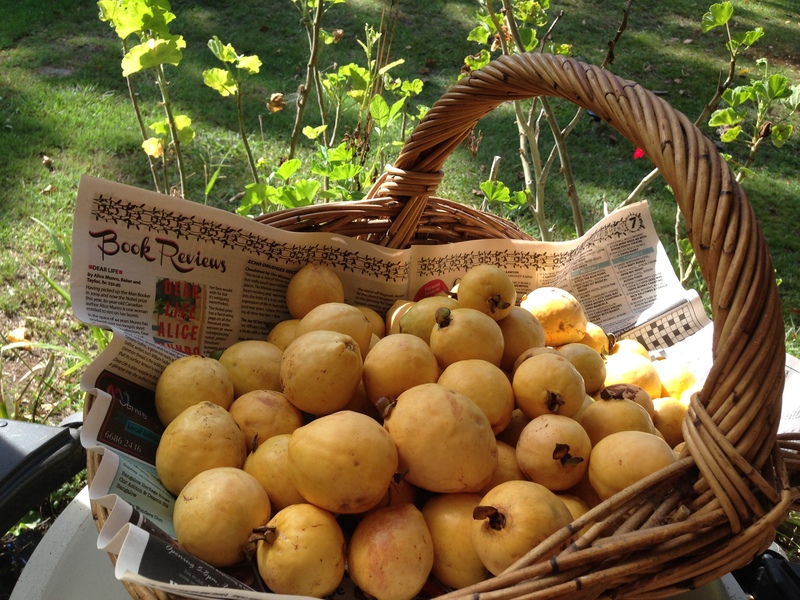 This weekend I will turn this basket of fruit into some kind of chutney. Perhaps also some jam. And definitely a cobbler or crumble. Tenacity has its own rewards. Maybe this tree has a message for you too right now about not giving up, and about re-birthing a better, healthier version of yourself. Believe that second chances and new beginnings are possible. The fruit will be ever the more sweet! 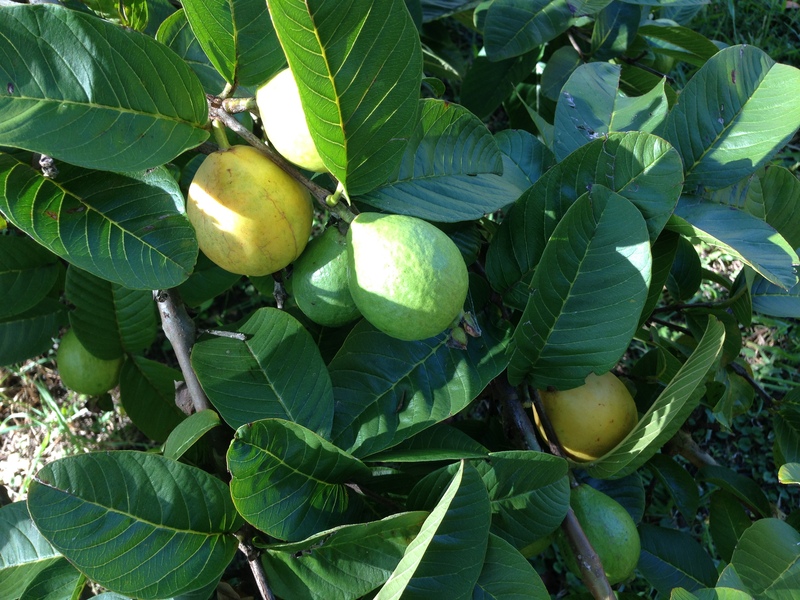 This entry was posted in Farm life and tagged Byron Bay, common guava, fruit tree, gardening, guava tree, inspiration, nature, rebirth, second chances, tenacity by Cauldrons and Cupcakes. Bookmark the permalink. life is relentless, i love it, no reason other than to be! enjoy! Thanks for this post, which I read just before heading to bed. I wonderful reminder of the value of faith and generosity of spirit. You held on with faith, and now the tree rewards you ten times over. Bless you! I remember this fruit from my years in PNG! It turned out to be the proverbial Phoenix! And that was beautifully told. 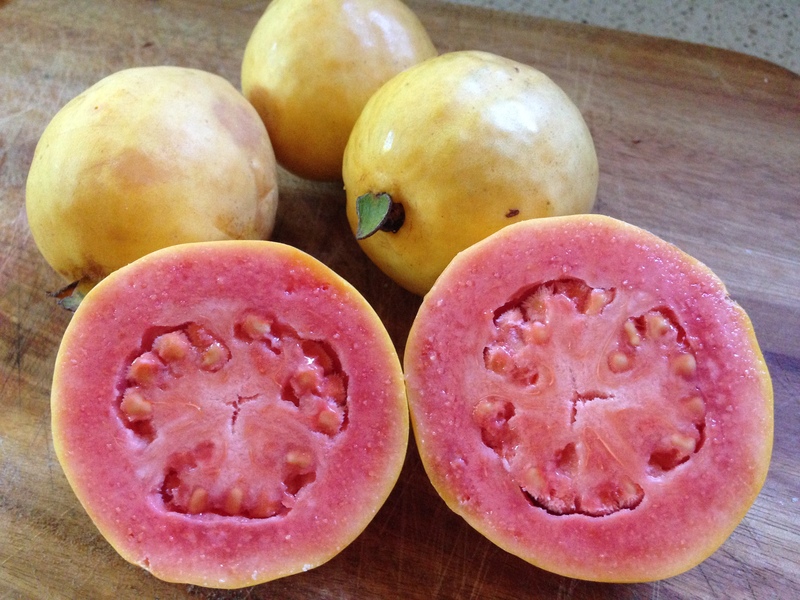 My father had once planted a dozen guava trees in his garden that he’d get chopped away one day, but as they say, that’s another story…. lovely! i am so glad that the tree persevered and now you have yummy fruit! great story!